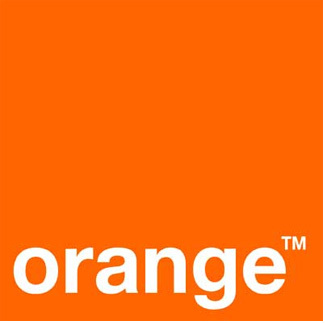 Orange (www.Orange.com) and Bharti Airtel International (Netherlands) BV (“Airtel”) have signed an agreement leading to Orange’s acquisition of Airtel’s operations in Burkina Faso and Sierra Leone. Orange will acquire 100% of the two companies’ share capital. The consolidated revenue of the two companies is around 275 million euros. These acquisitions will be implemented in partnership with Orange’s subsidiaries in the Côte d’Ivoire and Senegal. The outlay for Orange for these transactions will be based on the financials of Airtel’s two subsidiaries for the year ended March 31, 2016 and will represent the equivalent of 7.9 times Airtel’s EBITDA in these two countries at this time. The completion of these transactions remains subject to approval by the competent authorities. These acquisitions provide a clear illustration of Orange’s international development strategy, which places a priority on accelerating growth in high-potential, emerging markets where the Group is not already present. Through this deal, Orange will reinforce its presence in Africa with two additional countries, adding almost 5.5 million customers to its mobile customer base. This acquisition marks an important step forward in Orange’s dynamic growth strategy and will bring the Group’s African footprint up to 20 countries in 2016. This is further to the initial agreement signed between Airtel and Orange in July 2015 regarding the potential acquisition of Airtel’s operations in Burkina Faso, Sierra Leone, Chad and Congo Brazzaville. The agreements regarding potential transactions in the remaining two countries have lapsed. Lazard and Société Générale were advisors to Orange for this transaction. Airtel was advised by Arma Partners LLP. Previous articleSA: Ready, set, learn!